MDC leader Nelson Chamisa has called on the electoral authorities in the Democratic Republic of Congo (DRC) to release results of the just-ended presidential election in that country. Kinshasa has delayed the announcement of preliminary results from the crucial presidential election, amid growing pressure from world powers and the influential Catholic Church to respect voters' wishes. Chamisa who disputes President Emmerson Mnangagwa's victory in last year's July 30 elections alleging it was rigged, took to social media yesterday to express his frustration with the Congolese electoral commission saying it should avoid replicating the Zimbabwean scenario. "The DRC electoral body must release ‘accurate' results timely and not undermine the voice of the Congolese people," Chamisa said. "Kudos to the DRC Catholic Church bishops for standing with the truth. What Zec did in Zimbabwe must never be a script worthy emulating. Africa change, excel and shine!" 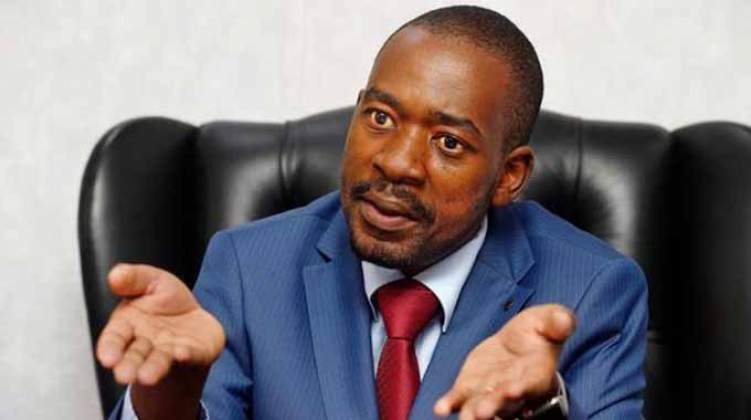 Chamisa accuses the Zimbabwe Electoral Commission (Zec) of manipulating figures in last year's polls in favour of Mnangagwa who was announced as winner with 50, percent of the vote to his 44,3 percent. With Zec appearing to be hell bent on delaying announcement of the July 30 polls, some opposition supporters took to the streets of Harare on August 1, 2018 to protest with government responding by sending in the military which shot and killed six civillians. Chamisa's attempts to overturn the results afterwards were quashed by the Constitutional Court after it ruled that Mnangagwa had been duly elected president. According to, Corneille Nangaa, the head of DRC's Electoral Commission (CENI), preliminary results which were set for release on Sunday will now come out this week. "It is not possible to publish the results on Sunday. We are making progress, but we do not have everything yet," Nangaa said at the weekend without announcing a new date. The National Episcopal Conference of Congo (CENCO) which represents the country's Catholic bishops, warned popular anger could result in the event the final result were not "true to the verdict of the ballot box." The powerful Catholic Church, which provided more than 40 000 election observers, has claimed that it knew who had won the vote, but did not name him. In a letter to Nangaa on Saturday, CENCO president Mgr Marcel Utembi said that, given the delay, "if there is a popular uprising it would be the responsibility of the CENI."